On December 9, 2016, at approximately 1930 hours, Trooper Neilsen conducted a motor vehicle stop on Route 12 in Charlestown, NH. Trooper Neilsen subsequently identified one of the passengers in the vehicle as Jacob Buchor, Age 23, of Springfield, Vermont. Buchor initially identified himself with a fictitious name. Tr. Neilsen was aware that Buchor had recently been featured as the Fugitive of the Week in a local newspaper. 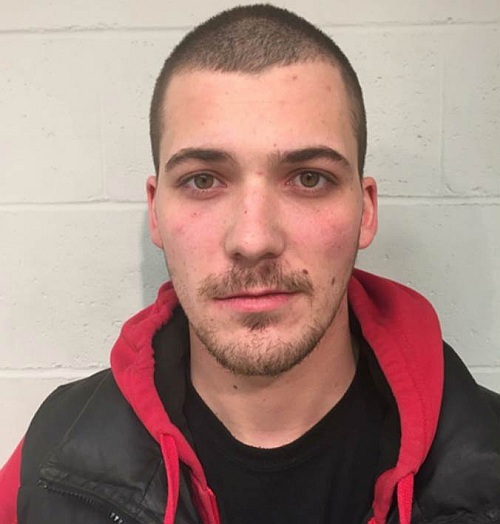 Buchor was arrested on an outstanding warrant from the State of Vermont for Violation of Probation, a warrant from the Sullivan County Superior Court for Violation of Probation, and two other warrants in Claremont and Keene District Court for failure to appear at various court dates. Buchor was charged with being a Fugitive from Justice, administratively, as part of the extradition process to return Buchor to the State of Vermont for his charges there. Buchor was arraigned in Sullivan County Superior Court on December 12th where bail was set at $25,000 cash. He is currently being held in the Sullivan County House of Corrections.